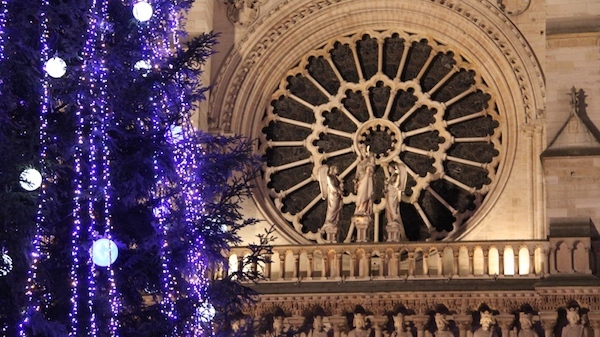 Join this festive Holiday tour to explore and discover the historic heart of Paris on Île de la Cité. Combining two medieval masterpieces into one tour, you will visit Sainte-Chapelle and Notre Dame Cathedral before ending with a visit to the lively Christmas market. 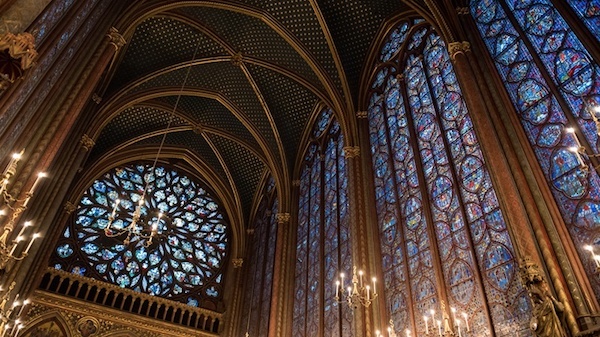 Your guided tour will begin with skip the line access to the Sainte-Chapelle, also known as the “Jewel Box of Paris,” for its dazzling walls made of entirely stained glass. Then continue on to the iconic Notre Dame Cathedral for an in-depth exploration of this gothic masterpiece. To end the tour, there will be a visit to the Christmas market to really put you into the festive spirit! Enjoy a mulled wine or hot chocolate (included in the tour) along with a tasting of foie gras or soft ginger bread. After browsing the Christmas market, your tour will end at the edge of the historic Latin Quarter, just beside the Shakespeare & Co. bookstore. 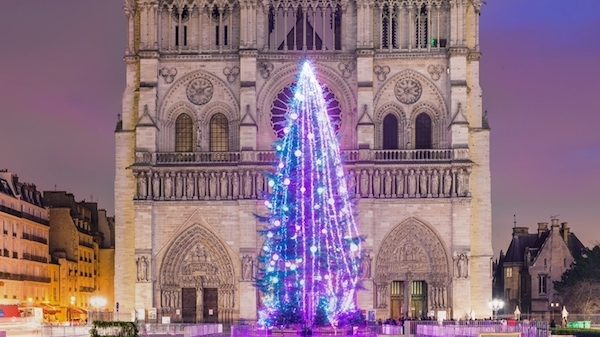 Your tour will include both the interior and the exterior of Notre Dame Cathedral, but the bell towers and Archeological Crypt are not included. If you wish to see these additional two sites, please contact our Travel Design Team about a private tour. Please note that regrettably, the Sainte-Chapelle is not wheelchair accessible. Available from December 18 to January 3 - exact dates to be confirmed. All Christmas tours will not be available on the afternoons of December 24 & 31 and all day on December 25 & January 1. Meeting point confirmed once booking completed. Walking distance : 3 km / 1.8 miles.